Do you want to learn the purpose of YOUR life? Would you like to have explained all the bumps and obstacles you have experienced throughout your life? Would it interest you to learn how to release anger, despair, resentment and remorse? What if your life, as it is, all of it, everything that has happened to you, everything that is going on now, and everything that will happen to you in the future, could be decoded and made understandable as a venue through which your soul gains knowledge and compassion? This monthly get-together allows you to build self-knowledge, learn basic skills to interpret events and relationships in your life, and dispel old patterns and non-constructive emotions. The get-togethers are confidential, healing and deeply helpful in coping with current events, family issues and personal questions regarding relationships, mental and physical health, and spiritual connectedness. The monthly get-togethers are working sessions–meant to give you the time and opportunity to examine your life in new terms, in terms of the largest picture–you as a soul. There is no religion involved, no dogma, no spiritual agenda other than to recognize your innate connectedness to each other and the universe, and to love unconditional. This series of workshops is intended as a study of YOU. Working sessions will include filling out individual worksheets that will help in the construction of YOUR LIFE STORY, and discussion of those events and relationships you offer in those worksheets. Each person in the study group will end up with a personal map of their life, a list and description of repeating patterns and a “tool box” with which to greet new events and relationships. The work will be generally based on the discussion and question sections that follow chapters of the book, Healing: A Conversation–A Field Guide to Redemption, by Annette Cravera Goggio, augmented by additional materials developed by the author. You need only bring an open mind, open heart and desire to learn. Each get-together is scheduled on a Saturdays from 9 AM to 4 PM, once each month. The monthly get-together will take place in a private, dedicated room in which all activities take place. Meals will be provided on site. In addition, in-between get-togethers will be a call-in session on Saturdays 11 AM to 1 PM for questions and issues concerning the work in progress, which will be conducted through an interactive internet software, Zoom, and moderated by Annette Goggio. Each study group member will be emailed with the call-in code for each call-in session, access to a computer or tablet with internet service is required. The book, Healing: A Conversation–A Field Guide to Redemption can be purchased through the author at a 25% discount, or online at Amazon.com, BarnesandNoble.com, and also through BalboaPress.com. E-books are also available online. The cost for each get-together is $125. The cost for each call-in session is $0–free–as part of the cost of the working sessions. The cost of the book at 25% discount is $32.21 for hardcover copy plus sales tax. The cost of the book at 25% discount is $21.74 for softcover copy plus sales tax. Books will be delivered to you at the time of the first get-together. If you desire to have the book ahead of the first get-together it will be shipped and billed at cost. All additional materials will be provided at no cost. An allowance of $25 per person for each get-together will be charged for breakfast, lunch and snacks for the day. Please indicate your dietary restrictions prior to the month of the get-together so your needs may be accommodated. All healthy foods and beverages will be provided. If you are interested in joining the study group please fill out the form below and submit a photo of yourself, close-up, face-forward, eyes open without eyeglasses please. The combination of your responses to the questions in the form and your photo will help me constitute the study group in such a way as all in attendance will be energetically compatible, and therefore able to work together. Energy compatibility is very important! Also I want to make sure everyone in the group is knowledgeable about the basics of energy work. If you have no prior experience with energy medicine practitioners (such as Reiki, Eden Energy Medicine, Cranial Sacral Work, etc. ), or are totally unfamiliar with concepts of energy such as the aura, the chakras or meridians, I will be offering another class on the basics, that will be shorter in length and in-depth about the energy body. Annette Goggio was born in 1952, an identical twin, in Berkeley, California, to a Cardiologist father and stay-at-home mother. She has spent most of her life in the San Francisco Bay Area with brief periods in Southern California, attending school and working professionally. She now lives and works in the foothills at the southern border of Yosemite National Park. For all of her working life she has involved herself in the delivery of health care services, as a direct care provider, and manager and consultant for health care systems, hospitals, health maintenance organizations (HMOs), academic medical centers and physician practices. Her consulting firm, Goggio & Associates, Inc. provided architectural and business development support and planning, operational management, recruitment and placement services to institutions at all levels of the health care industry for fifteen years. In 2006 she started her training in alternative medicine with Donna Eden of Eden Energy Medicine, finishing her certification in January 2009. Since then she has delved deeper and deeper into the nature of illness and healing with clairvoyant and healer, Dixie Yeterian. Her energy medicine practice combines the science and spiritual aspects of healing, and offers a context learned from Dixie Yeterian and her spiritual guidance of the meaning of life events such as illness as being one of many life lessons intended to educate the soul. She is proficient in Distant and Hands-On Healing Techniques, Universal Symbols (including colors, dreams and numbers), Theories of Soul Evolvement, Meditation, Aura Visualization and Advanced Clairvoyant Perception. She earned a bachelors degree in Health Sciences from California State University, Hayward (East Bay) and a masters degree in Public Health from the University of California, Berkeley. She has published research on stress and its energetic effect in teens (ISSSEEM, Subtle energies & Energy Medicine Journal, Vol. 21, No. 3, 2011), presented this research at conferences and recently published a book on healing, Healing: A Conversation—A Field Guide to Redemption (Balboa Press, a division of Hay House), www.healingaconversationbook.com). 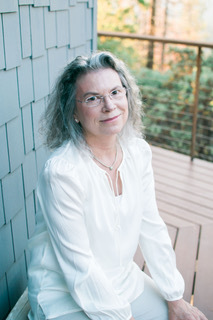 In addition to her work in energy medicine, Ms. Goggio established a non-profit public charity foundation, Mountain Health Resources Foundation, in 2014 to support the development of primary care-based integrative medicine healing centers in regions of California demonstrating a need for such services. The first healing center is planned for the Yosemite area in the next few years.